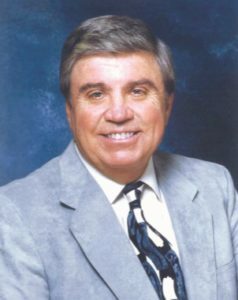 PALMDALE – City of Palmdale officials were deeply saddened to learn that former City Councilmember Mike Dispenza passed away on Sunday, Oct. 28. Dispenza served 16 years on the Palmdale City Council and also operated one of the most successful insurance agencies in the country as a State Farm Insurance agent in Palmdale. Dispenza represented the City Council as delegate of the Antelope Valley Air Quality Management District, the League of California Cities Desert – Mountain Division, the Inland Port Task Force, the Lahontan Regional Water Quality Control Board and the Antelope Valley Transit Authority. Dispenza was involved with the community in a variety of ways, serving as president of the Antelope Valley Underwriters; co-founding the Palmdale Education Foundation; co-chairing three Antelope Valley Board of Trade business outlook conferences; and founding the Palmdale Sheriff’s Boosters. Dispenza has also been named outstanding citizen by the Palmdale Chamber of Commerce in 1992 and 1998 and was named “Who’s Who Internationally” in 2009. Dispenza was also named “Outstanding Good Neighbor” by the Antelope Valley chapter of the American Red Cross. He is survived by his wife, Sarah, three grown children and five grandchildren. 5 comments for "Palmdale sends condolences on passing of former city councilmember Mike Dispenza"
He is also the longest serving Palmdale Councilman to hold office. I asked Palmdale Council and Mayor to name the streets around City Hall Park Square “Mike Dispenza Circle” to honor him when he was Alive and retired from the council. Nothing happened, no Leadership, Ledford needs to be run out of town. Thanks Mike for your service to city and Antelope Valley ♡! We will never forget you and your smile. Palmdale City still has not replaced his seat on Lahontan Board after two years it has been vacant. I don’t understand people on AV l, it’s not the same place I grew up in. It’s sad! Rest in Peace. Sad to hear of his passing. Mr Dispenza served our city well, in so many ways. I’m so thankful he gave me the opportunity to be a part of such and amazing office/team. Mike served his City well and will be remembered as a key voice for 16 years Of decisions. God Bless !